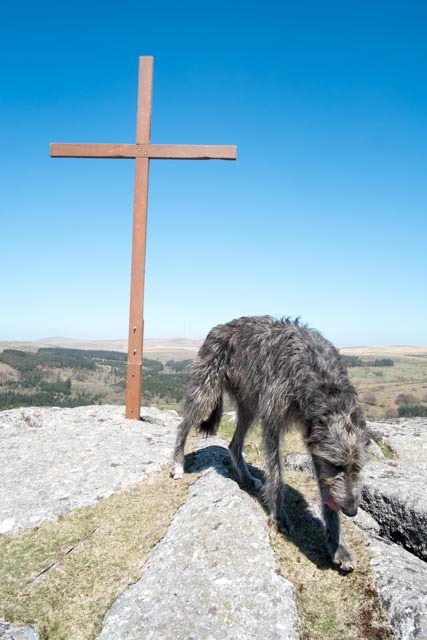 Our Good Friday Pilgrimage Walk is not just for humans. We are joined by a pack of dogs of all shapes and sizes. This is the biggest of them this year a friendly Deer Hound who slunk into this shot, making our very large cross look incredibly small.